What is a wireless phone charger? 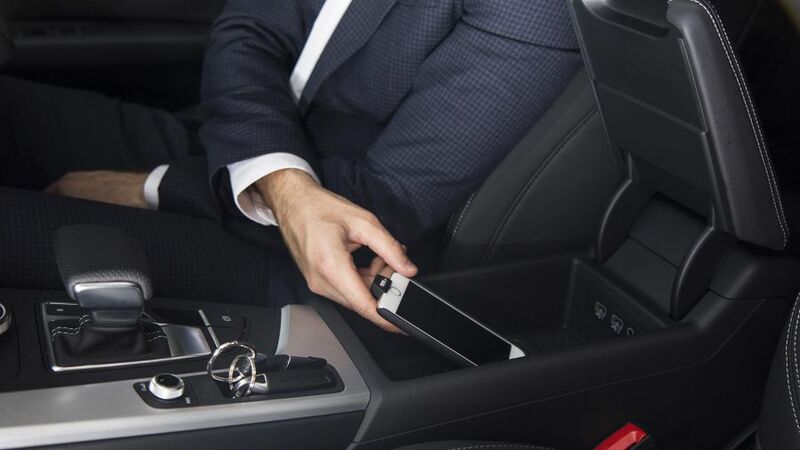 Quite simply, a wireless phone charger is a way of charging your smartphone in the car, wirelessly. You simply place your smartphone onto the specified charging pad, and that's it. Wireless charging uses two coils of wire: one in the charging pad that’s installed in the car, and one within the device itself. An alternating current (AC) from the car moves through the wire in the charging pad, which creates a magnetic field. When the phone is placed on the tray and within this magnetic field, a current is induced in the coil, which charges the phone’s battery. It’s the reason why wireless charging can often, and more accurately, be described as 'inductive charging', because it uses magnetic induction to charge a phone. And although we’re focusing on smartphones here, you may already use an electric toothbrush that uses the same wireless charging technology. Some modern smartphones have wireless charging built in, but a device without the appropriate coil cannot charge wirelessly. In the latter case, it may be possible to buy a special charging cover that will be specific to your phone. Should I specify this on my next new car? Wireless charging is becoming more and more common, but we’d still describe this feature as a ‘nice to have’ rather than a ‘must have’. Its immediate appeal will be in charging your smartphone without fiddling with any USB plugs. However, there is a reason we normally plug devices in to charge them: it’s more efficient to transmit energy over a wire, which means it takes less time to charge your phone.